Sieve the flour and mix it with baking soda, nutmeg, cinnamon and salt together. 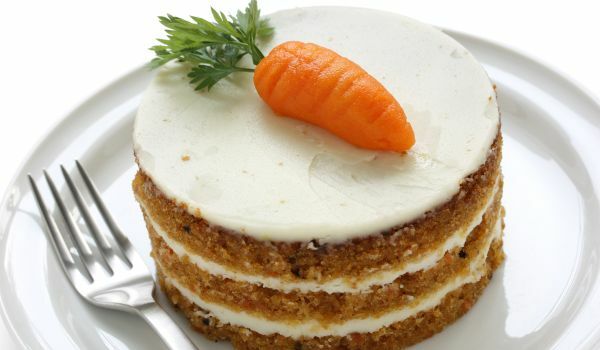 Blend grated carrots, sugar, oil, some walnuts and eggs. Mix dry ingredients into the above mixture. Cook the mixture at 350 degree F for about 10 minutes. Add food color to the cake if needed. Great recipe. This recipe was used for a Cookery Club Class for my 7 year old niece. Great sucess. Turned out well.